"Professional & Experienced Wedding & Party DJ"
Hi my name is Alex. I am a professional DJ with many years experience. State of the art disco with full lightshow, I can also accommodate karaoke at a small additional fee and negotiate the price dependant upon the number of hours you require me to entertain you and your friends. Functions and events I cover include Weddings, Birthdays, Engagement parties, Anniversaries, Christenings and Holy Communions. Looking for a quality, confident DJ for your function or party then I am here for you. Call to check available dates and to discuss your requirements and pricing range. I have worked in many of the top hotels. You want a wedding DJ who understands your special day and will meet and greet you and accommodate all your special music requests, then you have found me! I look forward to hearing from you. Required by many venues, Music Mix Mobile Disco has a current PLI policy with AMP DJ in the amount of £10 million. Also required by many venues, Music Mix Mobile Disco has supplied satisfactory evidence of holding current PAT inspections of their equipment dated within the last 12 months. A Method Statement outlining Music Mix Mobile Disco&apos;s Health & Safety procedure for setting up disco equipment has been provided. Music Mix Mobile Disco has provided Risk Assessments undertaken at events sourced via needadisco.com, indicating that they can undertake these competently. 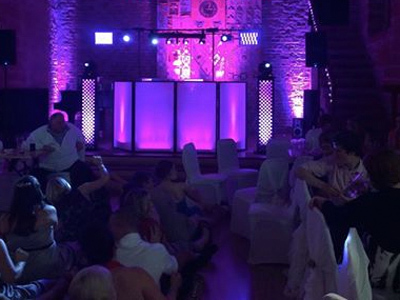 Why do people choose to book Music Mix Mobile Disco? "Did everything we asked of him , but people just wanted to talk and catch up , the very young ones there really enjoyed it as they almost had a personal Dj , would use Alex again for another event ." "Thanks for the feedback, good night!" "Very pleased - music was great. Thanks"
"Nothing bad to say, Alex was a great DJ, no complaints whatsoever." "Fast to quote. Good price and very efficient service. Would highly recommend Music Mix to anyone wanting a good party!" "Thanks, for the feedback, I really enjoyed being your DJ"
"Value for money. Played a range of music to suit the audience;s tastes. Everybody had a really good evening." "Very good DJ! Everything set up and ready for when we arrived. Lots of good comments from everyone there. People up dancing throughout the night as good songs played continuously. Very good." 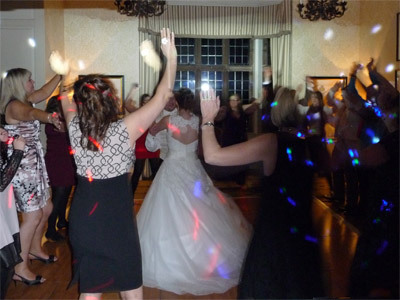 Music Mix Mobile Disco also offers a range of additional party services not directly linked to musical entertainment. 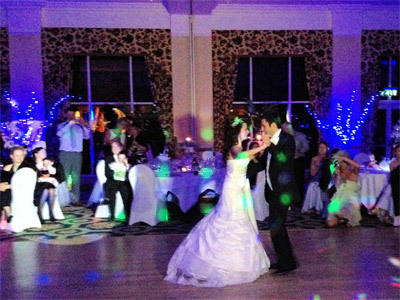 Get FREE no-obligation disco quotes from Music Mix Mobile Disco and other DJs covering your venue. Take 2 minutes to fill in some basic details and we'll do the rest! If you are contacting Music Mix Mobile Disco about an event, it's always a good idea to include the DATE, LOCATION, EVENT TYPE, AGE GROUP and TIMINGS to speed things up!